We’ve all been guilty of eating more than we should every now and then; when we’re going through a difficult time, or when we’re eating something so delicious, it’s hard to stop. However, that doesn’t necessarily mean we’re unable to control what we eat. Conversely, someone who is addicted to food has lost control. One way to see this is problem is with a mindset difference, when we are healthy we eat to live, but when food has taken control, we live to eat. Food becomes something that provides comfort, pleasure, and we simply cannot say no to cravings. Then how can we tell if we have a problem with food? Without food, there is a feeling of numbness in people who suffer from food addiction. They also can have cravings even though they’re full. Getting cravings every now and then is completely normal. However, it’s important to realize the difference between cravings and hunger. Cravings are your body’s way to urge you for more, calling for your brain’s pleasure center to release dopamine. Therefore, you eat foods high in salt, sugar, or fat, which trigger the release of the “feel-good” hormone. This gives a high similar to that of doing drugs, which is why food addiction is considered by medical experts to be as serious as alcohol or drug addiction. Controlling portions isn’t the strong suit of anyone who has a problem with food. Even if they eat a full-course meal, they could binge excessively afterwards. Food addiction can lead to many physical diseases, such as heart disease and type-2 diabetes, as well as many emotional and psychological ailments. People who are overweight tend to plan diets and exercise routines, and are very good at wishful thinking. However, they rarely follow through with their plans. In fact, they do the exact opposite and continue with their excessive eating. Then once the guilt sets in, they overdo it with extreme exercising, or go on crazy diets, or even vomit and use laxatives in a desperate attempt to rid the body of the extra weight. Those who face problems with over (or under-) eating usually have a list of excuses ready at their disposal. They usually avoid social gatherings and going out in public places. Food addiction is a form of self-sabotage, which can have a negative effect on your relationships. Anyone whose life is clouded over with the fear of disappointment and embarrassment always lives in isolation, and they often let down the ones closest to them. Plus, when you suffer from low self-esteem, everything in your life suffers as a result; romantic relationships, work, friends and family. If you feel like you have to hide away each time you eat, then that should be a warning flag. You can be good at controlling what you eat when you’re around others, but as soon as you’re on your own, you can’t control your excessive binging, then that’s a sign of food trouble. Scientists are still trying to understand what causes food addiction and how to treat it. 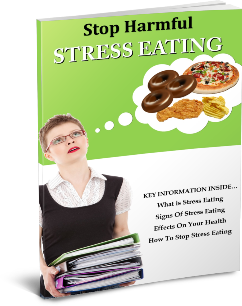 A mental health professional can help, also there are many 12-step programs that help with the process of dealing with the causes of overeating and breaking the cycle. These programs help people lessen their dependency on food, and find another way to cope with emotions, stress, and life in general.